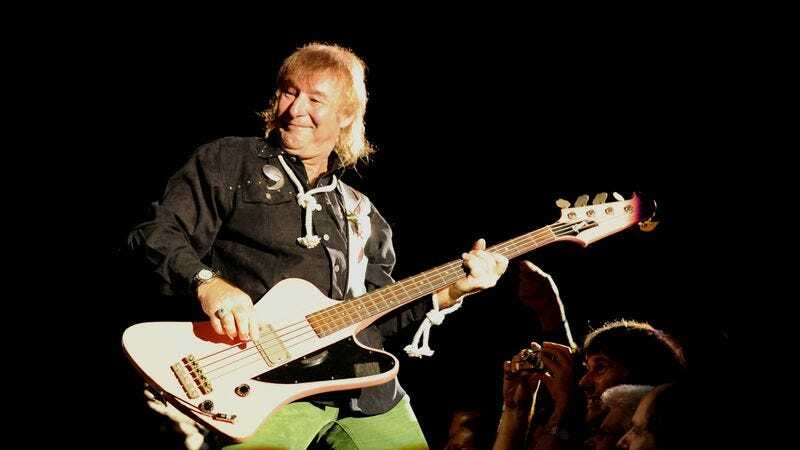 On Sunday, Mott The Hoople bassist and founding member Pete Overend Watts died at the age of 69 after battling throat cancer. His death comes a year after that of Mott The Hoople drummer Dale Griffin, who died at age 67, as well as the man who brought the band its best known song, David Bowie. The band would formally end in 1974, as Ian Hunter and Mick Ronson left the band to form a duo, but Watts and his cohorts continued on as Mott for a couple years before changing the name to British Lions and breaking up in 1980. The band would reunite with its original lineup in 2009, as well as some shows in 2013. Also in 2013, Watts eschewed the standard memoir to write a book about his love of hiking called The Man Who Hated Walking: The South West Coast Path.